The Afghanistan Premier League (APL), which is currently being played in Sharjah, has entered its final stages. Amongst the list of who’s who of top international stars taking part in this tournament is a 30-year-old Australian all-rounder and Twenty20 specialist, Ben Cutting who has been captaining the Nangarhar Leopards. 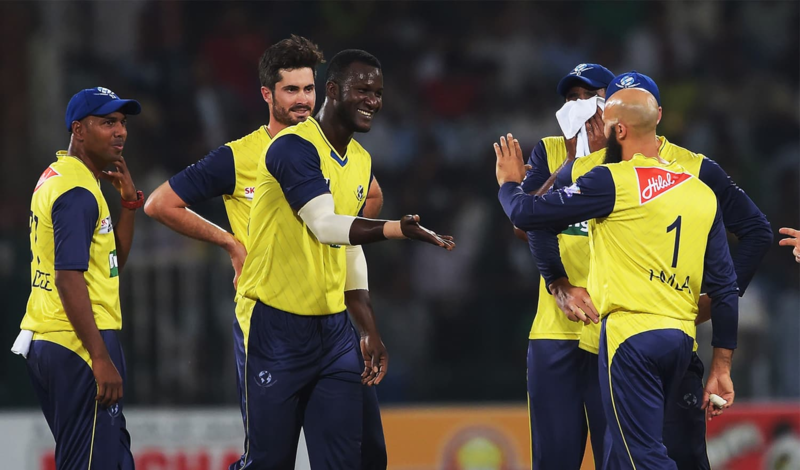 The IPL, BBL, CPL and the PSL are all similar franchise-based Twenty20 tournaments, each vying for their own share of audience attention and it stands to reason that there is a real danger of market saturation and possible loss of interest amongst fans. This is a view that Ben Cutting does not completely agree with as he feels that there is always room for more high-quality tournaments which cricket-lovers will be keen to enjoy. Whilst the involvement of some of the world’s top Twenty20 cricketers lends more gravitas to a newer league such as the APL, the real benefit of such a tournament, as Ben Cutting described, lies in the invaluable learnings for the Afghan players as they come in contact with overseas professionals. Being part of a new Twenty20 League has its own challenges but to be asked to lead a side of mostly Afghanistan players is a tough test which Ben Cutting has taken on with gusto and as he explained, has enjoyed the experience immensely. Ben Cutting also had the distinct honour of being part of a World XI side which played a three-match T20I series in Lahore in 2017. The side was led by South Africa’s Faf du Plessis and it is to Ben Cutting’s extreme credit that the Australian player accompanied the side to a country where the national side has refused to travel for many years. Whilst the APL advances through its final stages in Sharjah, in another part of the UAE, Pakistan and Australia are involved in a two-match Test series. The much-vaunted Pakistan spin attack was recently thwarted by an innings of epic quality by Usman Khawaja which to Ben Cutting, a good friend of the Australian opening batsman, was not a big surprise. With just 11 international games to his name, it remains a mystery why a player of such immense talent who has played over a 100 T20 games has not managed to establish himself in the Australian side, but for Ben Cutting, that stage of his career is now over, and he is happy to play cricket in the various leagues around the world. The shorter formats of the game continue to see innovation in recent times as in the advent of the T10 League, so it is no surprise that the ECB have also thrown their weight into a newer 100-ball format known simply as ‘The Hundred’. Not a lot of details are known about this form of cricket which will see its debut in 2020 with an eight-team competition and cynics are quick to raise doubts about the viability of such a format, but Cutting believes that just like other newer forms of the game in the past, this too should be given a chance to prove itself. “It's not an overly complicated format and sits somewhere between T10 and a T20 type of a game. A few years ago, people thought T20 was just a flash in the pan but now it's played by a lot of people around the planet so similarly, we need to give the 100-ball format some time to prove itself and who knows, over time even that could become popular,” he concluded.